PLEASE READ THESE BOOKING CONDITIONS CAREFULLY. THEY SET OUT THE TERMS AND CONDITIONS OF THE AGREEMENT BETWEEN YOU AND A1 TRAVEL DEALS LTD TRADING AS GLOBEHUNTERS. WE LOOK FORWARD TO THE OPPORTUNITY TO ACT AS YOUR BOOKING AGENT FOR YOUR TRAVEL NEEDS. WHEN YOU USE OR MAKE A BOOKING ON OUR SITE YOU ARE DEEMED TO HAVE ACCEPTED THESE TERMS AND CONDITIONS. THESE TERMS AND CONDITIONS (THE "AGREEMENT” OR “CONTRACT") DESCRIBE WHAT YOU ARE LEGALLY ENTITLED TO EXPECT FROM US WHEN YOU PURCHASE TRAVEL RELATED SERVICES THROUGH US, IN ADDITION TO YOUR OBLIGATIONS AS A CUSTOMER. As a condition of your use of this Website, you warrant that (i) you are at least 18 years of age; (ii) you possess the legal authority to create a binding legal obligation; (iii) you will use this Website in accordance with these Terms and Conditions; (iv) you will only use this Website to make legitimate reservations for you or for another person for whom you are legally authorized to act; (v) you will inform such other persons about the Terms and Conditions that apply to the reservations you have made on their behalf, including all rules and restrictions applicable thereto; (vi) all information supplied by you on this Website is true, accurate, current and complete, and (vii) if you have an account to this website, you will safeguard your account information and will supervise and be completely responsible for any use of your account by you and anyone other than you. We retain the right at our sole discretion to deny access to anyone to this Website and the services we offer, at any time and for any reason, including, but not limited to, for violation of these Terms and Conditions. The terms "we", "us" and "our" refer to Globehunters, one of the largest online travel agencies in Ireland that manages an extensive portfolio of travel-focused websites operating under the brand name “Globehunters”. Our contact details can be found at the end of these Terms (please see below at “Correspondence”). You can also be informed of our contact details and operating hours through our web page. The term "you" and "your" refers to the customer visiting our website, booking a reservation through us or otherwise using our services. "Booking": any order for products or services you make on our Website which is confirmed or accepted by us. Acceptance will be made by us (and a contract concluded) when we have received full payment from you and sent a confirmation email (from either us or the relevant Travel Supplier). "Booking Agent" or "Travel Agent": The online travel agency that manages and operates the website Globehunters.ie, who in the course of its business provides advice and information and acts as an intermediary in the process of realizing agreements in the field of travel. We as Travel Agent and our Website act as an interface in the transactions involved with the Travel Supplier. "Customer" or "Client": The person who makes a Booking or the person on whose behalf the services provided by us have been agreed and who has accepted that condition. "Service(s)": a service offered by our website, such as a booking of transport services. "Service fee": means the portion of your total cost of the service rendered to you on behalf of us as indicated in the confirmation page and email that covers the services provided by us. "Travel Supplier(s)" or "Supplier(s)": The airline and/or any other product and/or service provider in the field of travel, with whom the Customer enters into an agreement and who, with due observance of the applicable terms and conditions, is responsible for carrying out the service. "Website": means the www.globehunters.ie website. You agree to be bound by the terms of this Agreement and any additional terms and conditions of any Supplier that are applicable to your booking, travel arrangements or use of any website content. You agree on behalf of yourself and those you represent to comply with all such terms and conditions, including the payment of all amounts when due. You agree that any violation of any such terms and conditions may result in (a) the cancellation of your reservation or purchase, (b) your forfeiture of any money paid for your reservation or purchase, (c) you being denied access to the applicable travel related product or service, and (d) our right to debit your account for any costs we incur as a result of such violation. You represent and warrant that (a) you are of sufficient age to use our services and website and can create binding legal obligations in connection with your use, (b) you are legally authorized to act for or on behalf of any persons included in a booking and accept these terms and conditions on their behalf, and (c) the information supplied by you is true and correct. You are responsible for informing such other persons of all terms and conditions applicable to their travel arrangements. You understand that you are financially responsible for any use of our services or website by you and those using your name or account. You are responsible for your activities on the Website (financially or otherwise). We sell a variety of travel related products and services from different Travel Suppliers. We, as Booking/Travel Agent, are acting as intermediary for products and services that are not directly supplied by us. We are not a co-vendor of such products and services. When you make a booking via our website, you will be entering into a separate contract with such Travel Suppliers in connection with such products and services. We are therefore not a party to the contractual relationship in relation to the products and services you order on our Website, unless explicitly provided otherwise herein. Any queries or concerns relating to the product should be addressed to the Travel Supplier. We do not assume any responsibility for the travel products and services provided by the Travel Supplier and we make no representations or warranties (express or implied) about the suitability or quality of travel products and services featured on the website. For all products or services booked via our website, the Travel Supplier's terms and conditions (including airlines' fare rules) will apply in addition to those set out here. 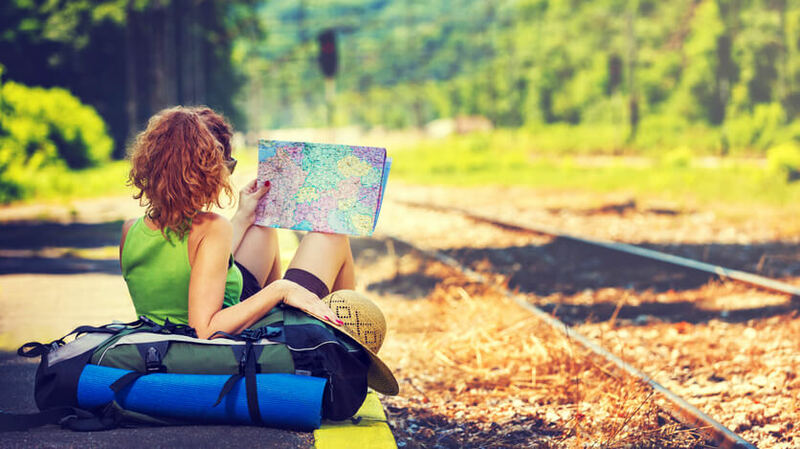 The Travel Supplier's terms and conditions may include provisions relating to payment procedures, default, liability, cancellations, changes of bookings and refunds (if available) and any other restrictions, so you are advised to read those terms carefully. You are responsible for complying with any airline or other Travel Supplier conditions in relation to check-in times, reconfirmation of flights, or other matters. Specific routes may require a return ticket depending on the passenger’s nationality or airline's policy restrictions. For this reason, please refer to your particular Travel Supplier for full details as to the applicable terms and conditions. Prices are confirmed at the final step of the booking path at the point when you click "Book now" or similar, depending on product purchased. By using our Website to book products and/or services, you authorize us to act as your representative during the process of booking of products and/or services from the selected Travel Supplier and to make the payment for such products or services in your name and on your behalf, as required. Accordingly, we shall charge you with a service fee, depending upon which product you book. Any fee charged will be displayed before you confirm your booking. After you complete your booking, you will receive a confirmation email with a booking number. This is the moment that your contract in relation to the products and services ordered will come into existence. This confirmation email will provide all the details of your booking. Next, we will check that your booking has been correctly entered in the airline's or Travel Supplier’s booking system and that your payment can be correctly processed. For flight booking, our obligation to issue the ticket will be subject to your payment having been received in cleared funds and passed our fraud security checks. In relation to the "special requests" options relating to any product (eg meals, disabled facilities, child seats etc. ), we do not guarantee any such requests but will pass these requests on to the Travel Supplier. It is your responsibility to confirm with the Travel Supplier whether such special requests can be fulfilled. Your ability to cancel or modify a booked travel product or service, and the method for doing so, will depend on the specific airline's fare rules or other Travel Supplier's terms and conditions. It therefore may not be possible to cancel or modify products or services ordered, or there may be specific requirements you will have to meet. It is your responsibility to familiarize yourself with the Supplier’s specific terms and conditions for cancellations and amendments, since you are deemed to have read and accepted them at the time your booking is placed. You may submit your request for change and/or cancellation, here. After that you will receive an email asking you to confirm with us in order to process your request. If for any reason you do not receive the message, you are solely responsible for contacting us so as to establish that your request is received and being processed. We are not responsible if due to any technical reasons the communication process is not completed. Changes to name details are not allowed by many airlines and other Suppliers. While we will endeavor to make such a change if necessary, please bear in mind that most airlines and Suppliers treat a name change as a cancellation, to which standard conditions and charges would apply. In the event that you make any alteration to your booking (cancellation or modification), in addition to the terms and conditions of your Supplier(s), our standard fees will apply as may be outlined on your booking confirmation. These fees cover the administration costs incurred by us and do not include any charges imposed directly by the Travel Supplier. If you cancel your booking, you may be entitled to a partial refund. In addition to the cancellation terms and conditions of your Supplier(s), our standard fees will apply as may be outlined on your receipt or booking confirmation. The refundable portion of your purchase price (if any) will be refunded to you once we have received the funds back from the Supplier(s). To the extent we are refunded by the Supplier, we shall pass this refund onto you. We are not responsible for a Supplier’s failure to pay a refund. If the reason for your cancellation is covered under the terms of your travel insurance policy, you may be able to reclaim your cancellation charges through your insurer. If you want to cancel or change your booking our service fee as well as the credit card fee charged at the time of booking will not be refundable. If you have a booking for any of our products or services, including flights but you do not show up to check-in or otherwise do not avail yourself of such product or service ("no show"), you will not be entitled to any refund. Subject to the relevant airline's policy you may, however, be entitled to a refund of any departure tax you may have paid for your flight (excluding low cost flights). In relation to flight bookings, please note that if the cancellation means that the airline charges a cancellation fee or if the change means that the cost of your booking has increased, you will need to pay such extra charges or costs in addition to our charges outlined on your receipt or booking confirmation. The cancellation and amendment terms of low cost flights are the applicable terms of the airline. You should contact the airline directly to cancel or make amendments to low cost flights. Usually fares for low cost flights are non-refundable. In the event that you decide to cancel your low cost flight, our service fee and any amendment charges are non-refundable. If the reason for your cancellation is covered by the terms of any insurance policy you have purchased, you may be able to reclaim any applicable non-refunded fares or cancellation charges from the insurers. Please note that flights must be taken in the sequence they appear on your booking confirmation or e-ticket. If you plan not to take a flight as booked, please contact the airline as far in advance as possible to discuss your options. If you do not check in on time for a confirmed reservation, the airline may register you as a ‘no-show’, which could result in extra charges and/or your whole flight itinerary being cancelled and/or render your ticket void. If you wish to cancel your booking because you are unable to comply with the passport, visa and other immigration requirements applicable to your itinerary, the terms and conditions of the airline will apply and we accept no responsibility for any charges incurred. Your contract with your Suppliers may allow them to cancel or amend bookings. We will endeavour that you are promptly notified of any significant changes once we become aware of such change if there is time before your departure, but we accept no liability for any changes or costs incurred that may result. Subject to the Supplier’s terms and conditions, you will then have the choice of accepting the change of arrangements, accepting an offer of alternative travel arrangements if one is made available by the Supplier, or cancelling your booked arrangements and receiving any applicable refunds. We do not guaranty that any refunds will apply. Please note that for each separate ticket the terms of the specific airline apply. The flight times shown in your booking confirmation may change between the date of booking and the date you actually travel. In case of re-timing of flight time schedule, if you provide us with contact information, we will endeavour to notify you of any such changes. However, it is your responsibility to check with the airline that the flight (and any onward flights) you have confirmed is operating as booked. We strongly recommend that you contact your airline at least 72 hours before the scheduled departure of each flight to do this. Please note that for some airlines it is mandatory to confirm with them your intention to fly. We have no control over airline schedule changes and accept no liability for costs which may arise as a result of such changes. In case of an obvious error (including any error in data entry, error of calculation or clerical error) resulting in the display of a price which has obviously been displayed by mistake, we reserve the right to cancel your booking, even if it was automatically confirmed by us. You will be informed of this as soon as possible, to allow you to make a booking at the correct price, if you wish to. In any case, you will not be entitled to claim compensation from us on the grounds of the cancellation or the related costs, if any, that have been incurred due to an erroneous booking which has been cancelled. In some circumstances, and in addition to the billing and payment information you provide, we may require you to produce some proof of your identity. This can be requested at the time of booking, during payment processing or at any other time thereafter. We reserve the right to cancel the booking if you do not provide such proof of identity when requested with no liability whatsoever. We also reserve the right to cancel your booking at any time for security or fraud-protection purposes. This is generally due to our security-protection and fraud-detection processes reporting a problem with the payment card submitted, e-mail address used for booking etc. In such circumstances we may cancel your booking with no liability whatsoever. An email informing you about the cancelation will be sent to the email address you provided at the time of booking. Globehunters, the company that manages and operates the website Globehunters.ie is based in UK and shows all prices in EUR on the website. Please note that if you use a foreign currency card, due to the fact that the payment is settled abroad, the final amount debited from your credit card may differ from the amount quoted as payable on our site. We will not be liable for any fees relating to varying exchange rates and charges set by your bank as well as for any other additional fee for transactions in a foreign currency you are charged by your card issuer, in case EUR is not the currency that your credit card issuer bills you in. Payment can be made by the payment methods listed on our website. Payment methods other than those stated on the website are not accepted and no responsibility is accepted for cash or cheques sent through the post. Please note that additional fees for credit card payments may arise. They will be shown before the completion of the booking in the price calculation. When you make a booking on our website, you will need to provide us with credit or debit card details in order to cover the full cost of your booking. We may be required to pass your card details to the relevant Travel Supplier for fulfillment of the booking. You may have multiple charges for the travel service, totalling the amount quoted for your booking. You authorise us or an authorised third party to take full payment for the total amount of your purchase. When pay by credit card, payment for your flights may be taken directly by the airline. Please note that you may be required to present your payment card at the time of check-in to provide confirmation of authorised card use or to secure any additional charges. If there are any problems with your payment, we will contact you within 48 hours (or within 24 hours if you are travelling within 48 hours). We will not be liable for any subsequent price increase as a result of payment failure. Any price increase must be paid for by the Customer before the booking can be confirmed. We are not obliged to issue any tickets, confirmations, vouchers or other travel documents, before the payment process has been finalized and we have received the payment. However, in all cases the Customer remains liable for payment of the full amounts for the Services ordered. In case the payment is processed with a credit card of a third person, we may require written authorization to be provided by the card-holder. We or the Travel Supplier reserves the right only to deliver e-tickets, confirmations, e-vouchers or other travel documents to your credit card billing address or email address when requested to do so by the credit card issuer. All email addresses used must be valid at the time of booking. After completion of the payment and booking confirmation, you will receive by Globehunters all necessary documents (confirmation, invoice) by e-mail to the e-mail address you have indicated during your booking. In the case you request the issuance of an invoice/confirmation, please take particular attention when entering the data in the relevant fields. Any claim for changes to details wrongfully stated by you to an invoice already issued, will bear a charge. Some fees, such as service fee and card fee (when paying with card only), are not included in the ticket price and are added during the booking process. However, a breakdown of the fare, surcharges and extra fees and the total ticket price are indicated at various steps during booking procedure. At the final step before validating the booking, an overview with total price will be displayed. Once you click submit you agree with the price and purchase. You will then receive your booking confirmation e-mail where price is shown. In some cases, when you are unable to take your flight, subject to the terms and conditions of the airline, you may be eligible to claim part of the amount you were charged at the time of purchase. A majority of the airlines do refund taxes, fees, charges and surcharges (TFCs) imposed on passengers by airports and government authorities if the ticket is unused, since these TFCs are only payable to airports or governments if the passenger actually travels. Other TFCs (for example fuel charges or booking fees) are not refunded unless a flexible fare ticket is purchased. Most airlines demand an administration fee for refunding TFCs. If you wish to make a claim for any amount that may be refundable please do so by sending us a written authorization, here. You hereby authorize us to carry out all the activities necessary to obtain such refund. You agree that you have 12 months from the date of your scheduled flight to write and ask us for a refund after which time you agree to forfeit any right to apply for refunds. Please note that in case of tickets issued directly by the airline or where payment for your flight has been taken directly by the airline, you may be instructed to make a request for refund directly with the airline concerned. Please note that refunds can only be processed to the form of payment used at the time of booking and that all refunds are subject to the relevant airline's policy and our refund service fee. You hereby authorize us to deduct the applicable refund service fee from the amount of the refund payable to you. In the event of a refund to you after the above deductions, the relevant amounts will be transferred back by the party that took the original payment to the payment card used to make the original booking. Any service fees applied will not be eligible for reimbursement. Customers should note that refund of flight bookings may take up to 6 months. Refunds will only be paid to you once we have received the funds back from the airline. We are not responsible for the airline’s failure to pay a refund. All tickets sold on our website are e-tickets, which is a paper-less way to book flights. Once you have made your booking, it is stored electronically in the airline reservation system. We will send you a booking confirmation email and then a separate e-ticket will follow. It is important that the Customer receives both a booking confirmation and then an e-ticket for each booking. Since you may be required to produce your booking number and/or confirmation email to the airline as evidence of your booking, we recommend that you take both the booking confirmation and the e-ticket with you. We cannot be held responsible for non compliance with these rules and regulations and strongly recommends that you check these details with your airline in advance of travel. You must present your e-ticket at check-in for your flight. If you have not received your e-ticket within 72 hours you must contact us via email. We rely on the information that you provide as being accurate and therefore cannot be held responsible if your e-ticket does not arrive due to an incorrect email address or your junk email settings. You must notify us immediately if you change your email address or contact telephone number. In addition, please check that the name on your passport matches the name on your ticket and/or booking confirmation. It is your responsibility to check that all of the correct information has been entered into the booking including, but not limited to, the correct passenger names, flights, dates and travel itinerary. If anything is incorrect, it is your responsibility to notify us immediately. All assistance possible will be offered to rectify any errors, however, charges may be incurred by both us and the airline, which you would need to pay. Please note that airlines have their own rules and regulations with regard to e-ticketing. We cannot be held responsible for non-compliance with these rules and regulations and strongly recommends that you check these details with your airline in advance of travel. In exceptional circumstances, due to ticketing restrictions outside our control, we may not be able to pass information about confirmed bookings to the airline to enable them to fulfill the booking. If this occurs we will attempt to notify you within 48 hours of confirmation and organize a refund or arrange an alternative. In case you choose an alternative that is more expensive than your original booking, you will be responsible for paying the difference. In the event low-cost airlines are included in your flight search, we will search the low-cost airline database, and then if you choose to buy, we will process the booking on your behalf. Your contract will be with the relevant low-cost airline and you will be also subject to their terms and conditions. Please note that you may receive a confirmation email as well as the e-ticket directly from the low-cost airline in separate emails. Low cost airlines may also charge additional fees for checked baggage, airport check-in, preferred seating, in-flight entertainment (if available), food, drink and snacks etc. Any charges for these additional services are not included in the price of your flight ticket unless explicitly provided otherwise. Full details on such charges may not always be available when making your reservation. For this reason you need to check your baggage allowance etc by visiting the airline's website. We are not responsible for any additional costs incurred and we advise you to contact the relevant airline to add any additional services and verify charges. Baggage allowance and policies differ by airline. For this reason, you should check baggage policy directly with the airline you are flying with. Airlines such as Easyjet, Ryan Air, Wizz Air, are considered Low-Cost Carriers, and checked baggage is not included in the flight booking. We recommend you add bags online prior to your travel, as some airlines charge additional fees for adding bags at the airport. You will need the airline booking reference number and email address that was used to make the booking. For some airlines like Easyjet, Ryan Air, Wizz Air you will also need account information, which would have been sent to you in a separate email along with your booking confirmation. You are advised to find the airline you are flying with and use the "Manage your Booking" link to add baggage to your booking. Some Full-Service Carriers (such as Air France and KLM, amongst others) offer lower fares that do not include luggage. Once you have selected your flight, check the flight details to find out if luggage is included in your fare. If luggage is not included, you will need to add it. After completing your booking, this service is, in most cases, available via the airline’s website. The cost of adding luggage is usually higher at the airport, so we recommend adding it before you check in. Please note that some flights we sell may not be qualified for accruing points, Frequent-Flyers or air miles schemes. Before you complete your purchase, please check with the concerned airline(s) if mileage or air mile points can be added for the purchase/upgrade of the ticket you are about to buy from us. We cannot be held responsible and cannot give any compensation for unredeemable or Non-claimable mileage/points. Unaccompanied Minors are children above 5 and under 12 years of age travelling alone (the age depends on the airline's policies, so please check with the airline). Many airlines provide (or require) supervision service for minors from the time of boarding until the time the minor is met at the final destination. This is called unaccompanied minor service. The service provided for the minors, must first be approved by the airline. However airline policies regarding unaccompanied minors vary. For example, depending on the airline, unaccompanied minor service is often mandatory for children ages 5-14, but optional for teenagers (ages 15-17). Please be sure to check with the airline for specific policies, fees and services that the airline imposes. Younger children (typically under the age of 5) are often not eligible for unaccompanied minor service and must be accompanied on the same flight and in the same compartment by an older passenger. However, passengers between the ages of 12 and 17, although for the purposes of fares are considered adults, are not eligible to accompany Unaccompanied Minors in the absence of a passenger who is 18 years or older. A fee is usually charged for unaccompanied minor service. With unaccompanied minor service, the airline will usually want to know who is meeting the minor at the destination. Proof of identification for the receiving adult is often required. Forgetting this required identification can cause unpleasant delays or disruptions so make sure you know the airline's expectations. Please also note that minors of certain nationalities travelling outside their country unaccompanied or with someone other than their parent or legal guardian (as identified in their passport), are subject to special requirements, e.g. they are required to carry with them letter of travel consent signed by legal guardian or parent with legal custody with authorisation to travel. Booking for unaccompanied minors is only available via phone. Again, please contact the airline prior to purchasing tickets and inquire about unaccompanied minors. It is your responsibility to ensure you are in compliance with all passport, visa and other immigration requirements applicable to your itinerary. For this purpose, you should confirm with the competent Embassies and/or Consulates well in advance of travel whether the destination(s) that you are visiting require a visa. It is important to remember to include all transit points in your journey since these may also require you to obtain a visa. We do not undertake any responsibility in case you are not allowed to travel due to your non-compliance with any such requirements and we also undertake no responsibility for cases we provided any assistance or advice on this. It should be noted that the requirements for obtaining visas, transit visas and entry formalities, vary from country to country and are subject to changes without any notice. For any information needed, you should contact the competent Embassies or Consulates of all countries listed in your itinerary, or/and even the airline and not only the Embassy and the Consulate of the country of your destination, since countries which are stopovers on your flight to your final destination (regardless of whether it is a flight with stopover without changing the airplane or a connecting flight) typically require a transit visa or multiple entry visa. We advise you that your Passport is valid for at least six months after your scheduled return date, in order to avoid having identification or any other issues during your travel. Please, also note that, there are countries which require that the travelers’ passports expire at least 3-12 months after the time of arrival. You agree to indemnify us and our affiliates, and any of our Suppliers, and any such parties’ officers, directors, employees and agents from and against any claims, causes of action, demands, losses, damages, or other costs, (including reasonable legal and accounting fees) brought by you or third parties as a result of (a) your breach of this Agreement, (b) your violation of any law or rights of any third party, or (c) your use of our website. The information, software, products, and services provided by us or our suppliers or published on our website may include inaccuracies or errors, including pricing errors. We and our affiliates do not guarantee the accuracy of, and disclaim all liability for any errors or other inaccuracies relating to such information that appears on our website (including, without limitation, the pricing, photographs, general product descriptions, etc.). We expressly reserve the right to correct any pricing errors on our website and/or on pending reservations made under an incorrect price. In such event, if available, we will offer you the opportunity to keep your pending reservation at the correct price or we will cancel your reservation without penalty. Any ratings for suppliers are intended only as general guidelines, and we do not guarantee the accuracy of the ratings. We make no guarantees about the availability of specific products and services. We make no representations about the suitability of the information, software, products, and services provided by us or contained on our website for any purpose. The inclusion or offering of any products or services by us does not constitute our endorsement or recommendation of such product or service. All such information, software, products, and services are provided "as is" without warranty of any kind. We disclaim all warranties that our website, its servers or any email sent from us or our suppliers are free of viruses or other harmful components. We hereby disclaim all warranties and conditions with regard to this information, software, products, and services, including all implied warranties and conditions of merchantability, fitness for a particular purpose, title, and non-infringement. The carriers and other suppliers providing travel or other services on this website are independent contractors and not agents or employees of us. We are not liable for the acts, errors, omissions, representations, warranties, breaches or negligence of any such suppliers or for any personal injuries, death, property damage, or other damages or expenses resulting there from. We have no liability and will make no refund in the event of any delay, cancellation, overbooking, strike, force majeure or other causes beyond our control, and we have no responsibility for any additional expense, omissions, delays, re-routing or acts of any government or authority. In no event shall we be liable for any direct, indirect, punitive, incidental, special, or consequential damages arising out of, or in any way connected with, your access to, display of or use of this website or our services or with the delay or inability to access, display or use our website whether based on a theory of negligence, contract, tort, strict liability, or otherwise, and even if we have been advised of the possibility of such damages. If, despite the limitation above, we are found liable for any loss or damage which arises out of or in any way connected with any of the occurrences described above, then our liability will in no event exceed, in the aggregate, the greater of (a) the service fees you paid to us in connection with such transaction(s) on this website, or (b) one-hundred Euros (€100.00) or the equivalent in local currency. All correspondence regarding customer service or your booking should be sent to us at contact us. These Terms and Conditions contain the entire agreement between the parties in relation to its subject matter. If at any time any part of these Terms and Conditions (including any one or more of the clauses of these Terms and Conditions or any sub-clause or paragraph or any part of one or more of these clauses) is held to be or becomes void or otherwise unenforceable for any reason under any applicable law, the same shall be deemed omitted from these Terms and Conditions and the validity and/or enforceability of the remaining provisions of these Terms and Conditions shall not in any way be affected or impaired as a result of that omission. We reserve the right to change or update these Terms and Conditions from time to time without prior notice to you. The current version of the T&Cs will be displayed within the Website from the date on which any changes come into effect. Continued use of the Site following any changes to the Terms and Conditions shall constitute your acceptance of such changes.